In 11 days, voters in Scotland will decide on whether their country should go it alone. The latest Sunday-Times YouGov poll shows a two-point lead for the "yes" camp. The outcome is now too close to call. The closeness of the polls has been matched by a shift in the tone of some economic commentary on independence. Some say it would be a close-run thing whether an independent Scotland would be better or worse off than if it remains part of the UK. If this is the case, then Scots are free to vote with their emotions, their hearts. Such talk is dangerously misleading. The economics of independence are not close at all. Scotland will be worse off in the short-term, in the medium-term and in the long-term if it votes for independence. A vote for independence will be a vote for a Scotland that is poorer, more unstable, and will require deeper cuts in public spending than if it remains part of the UK. In the short-term, a vote for independence would be followed by turbulence. Goldman Sachs has warned of a euro-style currency crisis within Britain, with the break-up threat providing investors with “a strong incentive to sell Scottish-based assets and households with a strong incentive to withdraw deposits from Scottish-based banks”. Robert Wood of Berenberg, the private bank, warns of a yes vote being followed by “serious short-term pain”, in the period of uncertainty over Scotland’s future currency arrangements and EU membership. The UK authorities, including the Bank of England, would be obliged to step in, but as the experience of 2008 showed, financial panics can be hard to contain. These uncertainties, in the transitional period, have the potential to hit Scotland hard. They could mean that the independence vote is followed by a recession in Scotland and a significant slowdown for the rest of the UK. The longer-term challenges are arguably even greater. To understand why, we need not get bogged down for the moment in questions about the currency, which many people appear to regard as too confusing, though I shall return to it. Instead, let me start with the two fundamental economic forces arguing against Scottish independence. The first is declining North Sea production and revenues. This year the North Sea will produce around 830,000 barrels a day of oil, just 28% of the peak of 2.92m barrels in 1999. Oil and gas production together will be some 75m tonnes of oil equivalent, 31% of the 1999 peak of 243.7m. There is no doubt at all that North Sea oil and gas production, while far from exhausted, is in long-term decline. That decline has averaged 7.8% a year since the 1999 peak. Production has fallen particularly sharply since 2010, mostly as a result of a sharp drop in production efficiency. The costs of extracting the remaining oil have increased sharply. The days of big fields being operated by the big oil companies have given way to a situation in which production is from some 300 fields mainly operated by smaller businesses. According to the Wood Review, chaired by Sir Ian Wood and published earlier this year, development costs per barrel have risen five-fold over the past decade. Oil and Gas UK, the industry body, says exploration activity is at an all-time low. The result of all this is that oil is ceasing to be a significant revenue-raiser for Scotland. In 2012-13, The North Sea brought in £5.6bn of revenues for Scotland, assuming an independent Scotland would get a “geographic” 90% share of revenues. This was less than half the £11.6bn of 2008-9. For last year, 2013-14, Scotland’s oil and gas revenues appear to have dropped further, to £4.2bn. The independent Office for Budget Responsibility (OBR) forecasts for North Sea revenues imply further falls over the next few years, to £3.3bn this year, £3.4bn in 2015-16, £2.9bn in 2016-17, £3.1bn in 2017-18 and £3.2bn in 2018-19. Nor do things get any better after that. Robert Chote, the OBR chairman, recently wrote to the Scottish parliament to explain why he was revising down projected North Sea receipts over the period 2019-20 to 2040-41 from £51.9bn to £39.3bn. There were predictable cries of foul from the nationalists, though Chote patiently explained how North Sea production and revenues had persistently disappointed. Nor was the OBR taking a gloomy view on output; the assumption is that it will be flat until the end of the decade before resuming its decline, but at a slower 5% a year rate. The OBR’s forecasts imply that Scotland’s North Sea revenues in the 2020s and 2030s will average a modest £1.6bn a year. Surely, however, any oil revenues are better than no oil revenues? Alex Salmond, the Scottish first minister repeatedly says that no country ever got poor by having oil. The trouble for Scotland, however, is that its public finances can only be made to add up if it is has significant oil revenues. This is where Scotland falls foul of the second fundamental force; high and rising public spending. Scotland spends much more than the rest of the UK. Spending per head in Scotland is between 12% and 16% higher than the UK average. Part of the reason Scotland is relatively well off (income per head excluding oil is around 94% of the UK average) is that it is boosted by this higher level of public spending. The pressures for higher spending, not least from the country’s ageing population, will intensify. In 2012-13, the latest Scottish government figures, public spending in Scotland was £65.2bn. Taxation, excluding North Sea revenues, was £47.6bn. The gap was equivalent to 14% of GDP; bigger than the UK deficit at the height of the crisis. Only by including North Sea revenues was Scotland’s budget deficit brought down to 8.3% of GDP; bigger than the 7.3% for the rest of the UK. This, in fact, has been the position for the past 25 years. Even with a geographic share of oil revenues, and even in a period when North Sea production was at a peak, Scotland has run a bigger deficit than the whole of the UK. Its position can only get worse as North Sea revenues decline. The Scottish government, taking what appears to be an unrealistically optimistic view of oil revenues, predicts a budget deficit for Scotland in 2016-17 of 3.2% of GDP, compared with 2.4% for the UK as a whole. Independent assessments from the Institute for Fiscal Studies, Citibank and others suggest a deficit of between 5% and 6%. It could easily be much worse. If, as feared, the uncertainties following independence hits the Scottish economy hard then this, in combination with weak oil revenues, could easily push the deficit to 10% of GDP or more. Scotland would start independent life on the shakiest of fiscal footings. Every independent assessment of Scotland’s fiscal position points to the need for bigger spending cuts than the UK government’s austerity programme and tax hikes. “If an independent Scotland wanted to achieve a sustainable medium and long-term fiscal position, further tax increases and/or spending cuts would be needed after independence,” the IFS says. To replace the falling oil revenues and achieve a manageable budget deficit, Scotland will either need its own austerity – over and above the planned £400m in defence cuts – and higher taxes. The IFS suggests that over the medium term tax increases equivalent to 10 points on the basic rate of income tax and an eight-point hike in the main rate of VAT. The Scottish government’s response to its fiscal problem has been to pretend it does not exist. Its white paper in the summer proposed net giveaways of more than £1bn. John Swinney, its finance secretary, has promised to end the Westminster government’s austerity. Salmond, astonishingly, has won support by pledging to protect an NHS he already has control of form privatisation and cuts. Politicians say a lot of things before votes. When fiscal reality hits home, things will look very different. THE FISCAL DEBATE is not the only issue for an independent Scotland. Its voters have been subjected to the spectacle of businesses lining up on both sides of the debate. “Yes” supporters in the business community have in general been more vocal and willing to nail their colours to the mast, while those backing maintaining the union have been more circumspect, and in many cases have emphasised that they are only expressing a personal position. If there is a pattern to these declarations it is the smaller firms operating mainly within Scotland appear keener on independence, while larger firms do not want it. The Scottish government is offering a 3% cut in corporation tax to stop firms from leaving, and to attract new ones. Scotland’s problem, however, is that it does not have enough private-sector businesses now, and independence is likely to result in a loss of big taxpaying firms, notably but not exclusively in financial services. 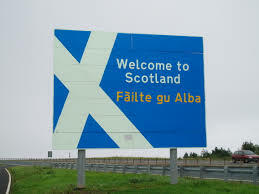 Scotland has 740 private businesses per 10,000 adults, lower than any UK region apart from the north-east of England. Most businesses will worry that, behind the prospect of a small cut in corporation tax, there is the bigger danger of other taxes going up. Post-independence, those who want access to the market of the rest of the UK would be able to do so from Ireland, with a corporation tax rate of 12.5%. In his Gresham lecture earlier this year, Professor Douglas McWilliams predicted that much of Scotland’s financial services industry would migrate to London, with a consequent loss to Scotland of high-paying jobs and tax revenues. Scotland’s banks, in particular Royal Bank of Scotland, will have little option but to re-domicile. What Scotland may gain in a few entrepreneurs emboldened by a yes vote it will more than lost in the departure of large businesses. That will be compounded if the Scottish government carries out its threat not to take on its share of UK public debt, if it is not allowed to be part of a currency union with the rest of the UK. Such a move would make a newly independent Scotland a pariah in the financial markets – a country that reneges on its debts once can do so again – and a pariah in the rest of the UK. A country that walks away from its debts deserves to be condemned. In the latest five years alone, the Scottish government’s figures show Scotland has run up debts of £88bn, or more than £51bn if its ‘geographic’ oil revenues were backdated. Scotland’s currency arrangements threaten to be its biggest problem of all. Westminster’s insistence that it would not allow Scotland to be part of a formal currency union is taken seriously by all but the nationalists, mainly because it would not be the rest of the UK’s interest. Salmond’s insistence that the rest of the UK would want to be in a currency zone with Scotland because the two form an “optimal currency area” is either extreme ignorance or a deliberate attempt to mislead. Once Scotland left the UK and established its own fiscal policy with its own Treasury, the optimal currency area would have ceased to exist. As it is, Scotland’s lack of currency preparation is shocking. It took Europe decades to prepare the ground for a single currency that nevertheless had significant launch problems. The Scottish first minister’s throwaway insistence that all options are open for an independent Scotland does not deserve to be taken seriously. FOR SUPPORTERS of independence, all of the above will be dismissed by what has been the problem for the “No” campaign; how do you enthuse people by pointing out the risks. People want to vote for positive reasons and they are also tempted to vote for a change. Is there a positive message among the many negatives that would be associated with independence? Yes. Capital Economics, in a report, says that a no vote would lead to an economic resurgence in Scotland, at least in the short term, as uncertainty fell away. Scottish firms quoted on the stock market have suffered an uncertainty effect, depressing their share prices relative to the rest of the market and, while Scotland’s economy has been growing, its unemployment has fallen more slowly than the rest of the UK. Longer-term, Scotland has been pledged greater powers even in the event of a rejection of a no vote. Scottish voters will get a version of “devo max”, greater devolution but without the huge risks and economic damage associated with independence. A canny Salmond will even be able to present that as a victory. And if the Scots were to use these extra powers to build a stronger economy, without its current fiscal vulnerabilities and with a workable currency plan, they might even be able to make the economic case for independence in the future. There is no case for it now.